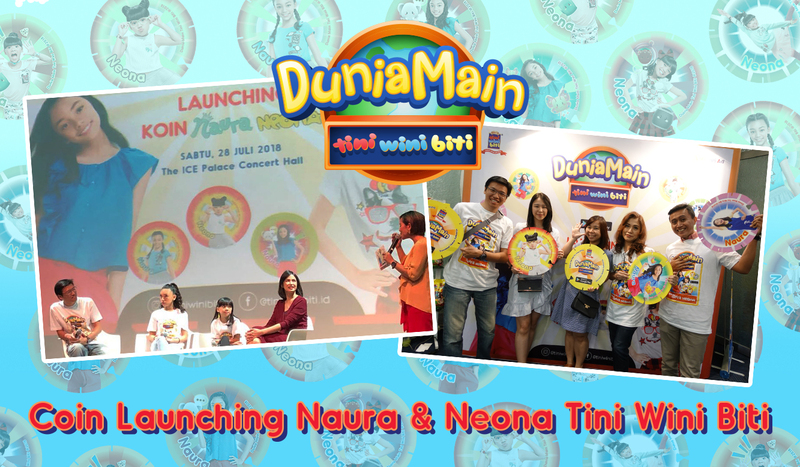 Looking at such a strong user participations towards the ‘Dunia Main Tini Wini Biti’ Augmented Reality coins application since 2017 and how it helps increasing brand awareness and loyalty, Tini Wini Biti (Konimex Group) has decided to improve the application and add new series of coins based on their new brand ambassadors – Naura and Neona. There are in total of 8 new coins consisting of 4 Naura coins and 4 Neona coins. During the launching event, Tini Wini Biti also invited fans and customers to enjoy the performance by both Naura and Neona. Now, get all coins by buying Tini Wini Biti biscuit to experience the power of Naura and Neona. Dunia Main Tini Wini Biti is now available for download at Google Playstore.